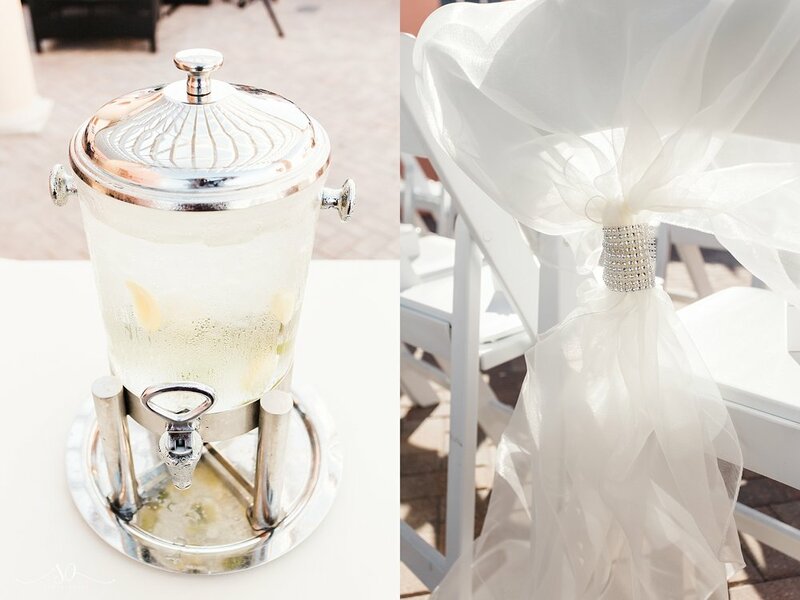 Romance set the tone on Michaela and Garrett's wedding day at the Hyatt Regency with blush, rose gold, and dark grey hues accented with white pearls and an intimate rooftop ceremony overlooking beautiful Clearwater Beach. They kept things traditional, choosing to see each other for the first time as they walked down the aisle - giving everyone the opportunity to see Garrett shed a handful of tears as his beautiful bride walked down the aisle. Each of them fondly looked back on their day and agreed that the ceremony was the best part - for Garrett, it was seeing Michaela walk down the aisle, for Michaela, it was walking back down it with her husband to "Love on top" by Beyonce. For us, it was their HUGE smiles after they said "I DO!"! 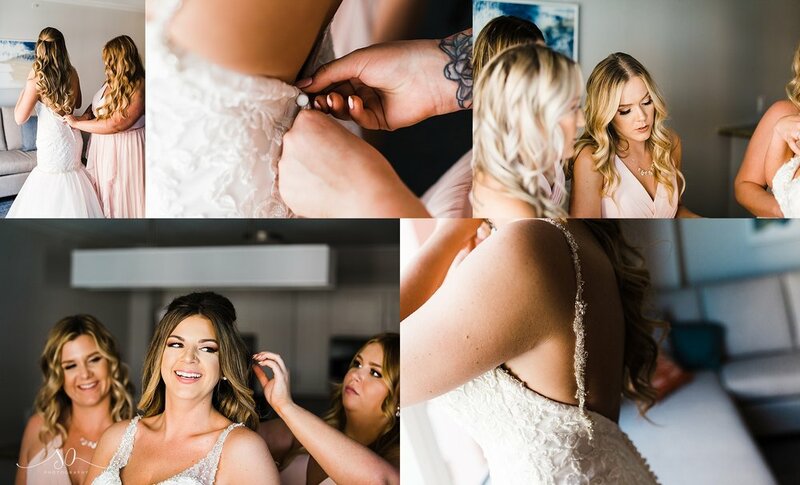 The wedding and venue sparkled with glamour and we had the best time keeping it real with the formal party and having a blast while snapping those group pics - the guys and girls each had large personalities and we loved encouraging the fun vibes! 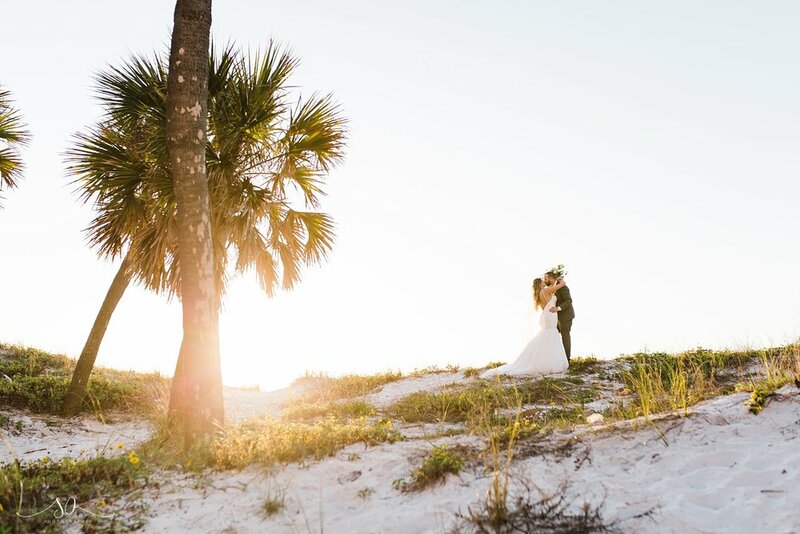 After we sent them off to enjoy cocktail hour, we had a chance to enjoy beautiful golden hour around the property with a hazy sunset on their ceremony terrace that left us swooning for days. 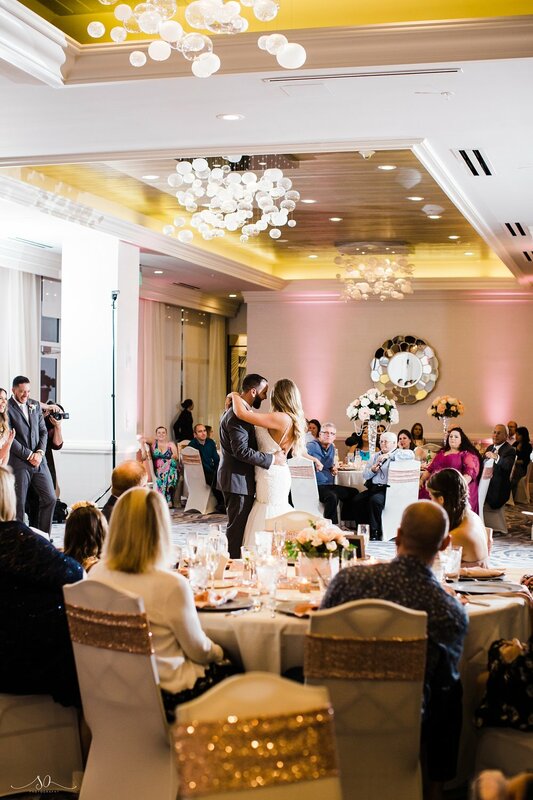 When we walked into the reception area we were blown away by how Michaela's stepmother straight up SLAYED the decor once more after creating magic at the ceremony space and the newlyweds shared their first dance in front of beautiful glass windows which highlighted the palm trees and setting sun. 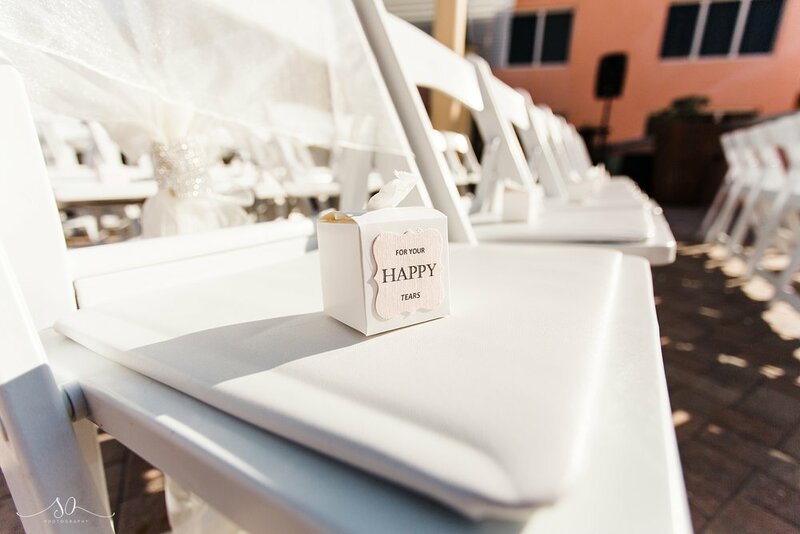 They partied the night away with all of their closest friends and family and danced their hearts out and we were honored to be a part of it all!